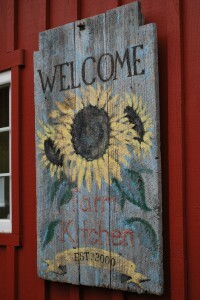 The Farm Kitchen in Poulsbo last summer. Are the grey skies over spring break getting you down? 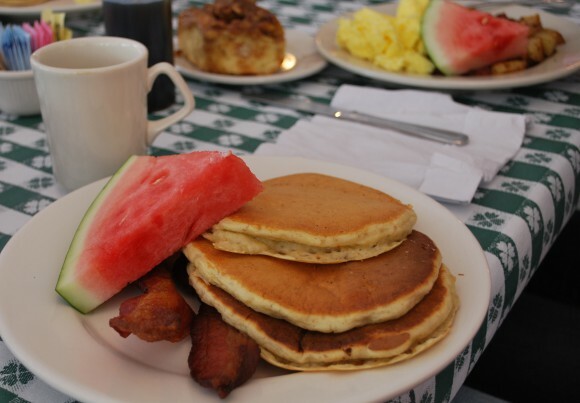 A cheery breakfast at the Farm Kitchen in Poulsbo might be just what you need. Eat outside, even in the rain (yes, covered). Signs of spring are all around the farm. Let the kids explore while you sip your coffee. I am a big fan of their cinnamon rolls and lemon bites, wow – and their sausage is the best. We have not been since last summer and I think it is time. 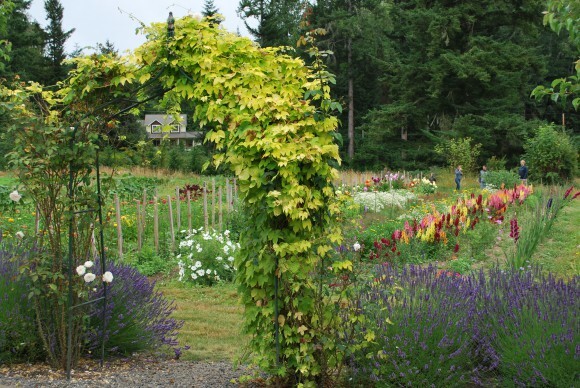 The Farm Kitchen in Poulsbo. My breakfast from last summer at the Farm Kitchen in Poulsbo. 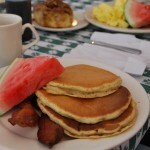 Each month they offer a Featured Breakfast for $9.75 and a Selection of Side Orders from $3 – $5 each. 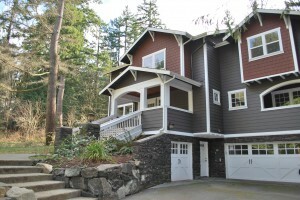 My buyer’s recent closing on Raccoon Lane brings a great couple to Bainbridge Island. This past Saturday was bright and beautiful. It was even more lovely because I got to hand keys over to Josh and Amber, the cutest and nicest couple who will now make Bainbridge Island their home. They were such a delight to work, so positive . . . and so funny. They will be such a great addition to our community. Congratulations to the new owners of Venice Loop in Battle Point & Alford Place in Winslow. Bainbridge Island is lucky to have these two amazing families join our community. Welcome to the Marchinek and Pennington Families. 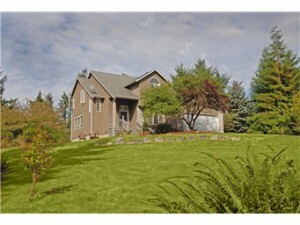 Sid Price Road Waterfront home in Poulsbo. The sun is out this morning, I am hoping it will be out this afternoon too. Stop by and see this amazing 6,000+ square foot waterfront estate on Miller Bay. 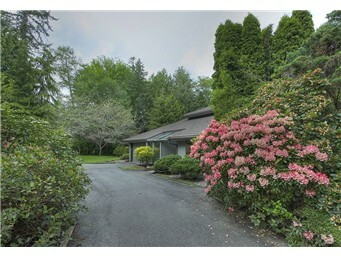 A great location between Poulsbo and Kingston. Close to Bella Luna Pizzeria and Mora Ice Cream in Kingston, great destinations for a Sunday drive. Click to visit the home’s website. 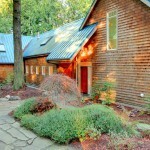 This is the home that my husband and I bid on at auction before Christmas. It sold at auction for $420,000. 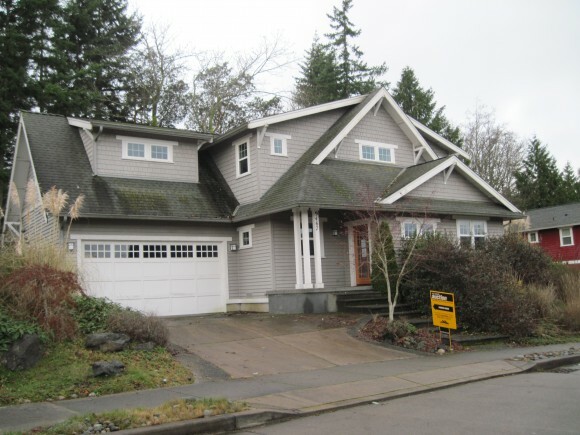 That deal fell through and now it is back on the market, still bank owned for $356,000. We have our sites on another home, or we would snap it up. 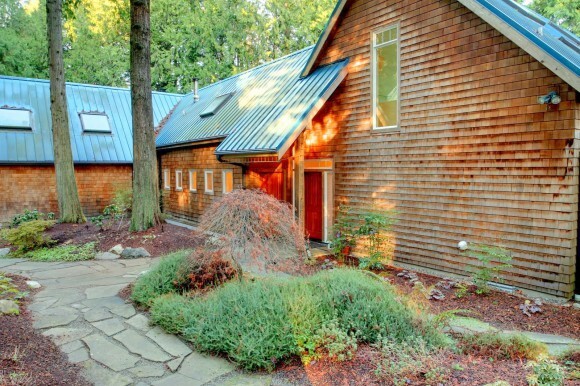 A home just went pending in North Town Woods, 300 square feet smaller for over $100k more. I just closed a bank sale for a client, if you’d like information on how to be successful in the process, give me a shout. 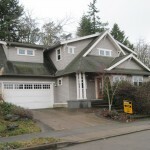 Update: The home closed on 3/24/2011 for $421,000. There were ten offers on the home!